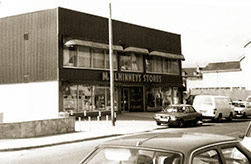 Our story begins in the late 1960’s, when the founder and owner of McElhinneys Department Store, John McElhinney as a young entrepreneur decided to bring a new shopping experience to the people of the North West of Ireland. Back in 1968, John purchased a Dodge van, sourcing only the best products and called door to door selling everyday home essentials to the local community. 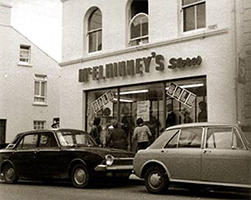 Soon the overwhelming demand meant John could open his first store in Glenfin Street in 1971. The store flourished with people travelling to the small shop from near and far. In a short period of eight years, John grew the business exponentially making its final move to its current site in Lower Main Street, Ballybofey 1979. This gave rise to a new shopping experience for customers as John sourced exciting new product ranges from suppliers all over Ireland and UK, handpicking only the best. We have overcome many challenges including a flood in 1985 and firebomb attack in 1987. These were tough times however remaining true to our passion for retail, commitment to customers and the help of our team, we grew bigger and stronger. At the heart of our family owned business is our main store in Ballybofey which employs over 200 people that are passionately committed to providing all our customers with genuine and honest customer service. 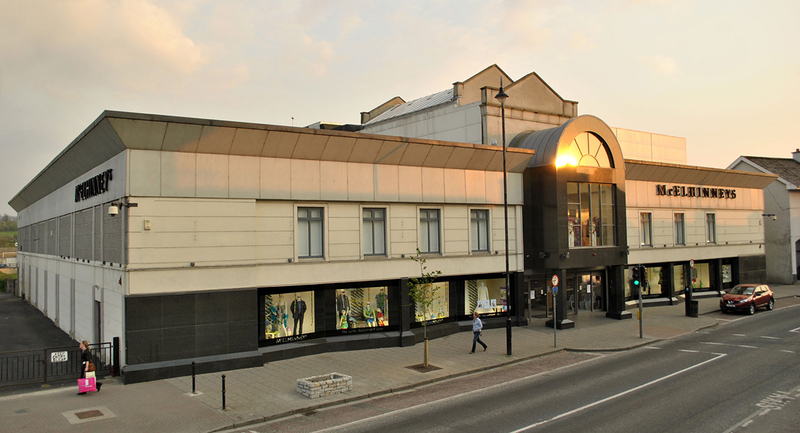 At McElhinneys, we pride ourselves in the fact that we are completely independent and source all our own product, our team of experienced buyers, travel the globe to bring our customers instore and online only the most unique and individual range of brands and designers.Every item is handpicked with our customer’s needs and desires in mind.